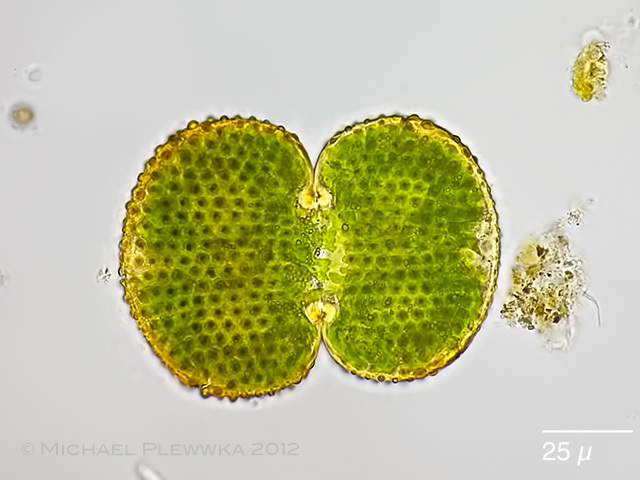 Cosmarium margaritatum rotundatum, another specimen from (2) focus plane on the center of the cell. 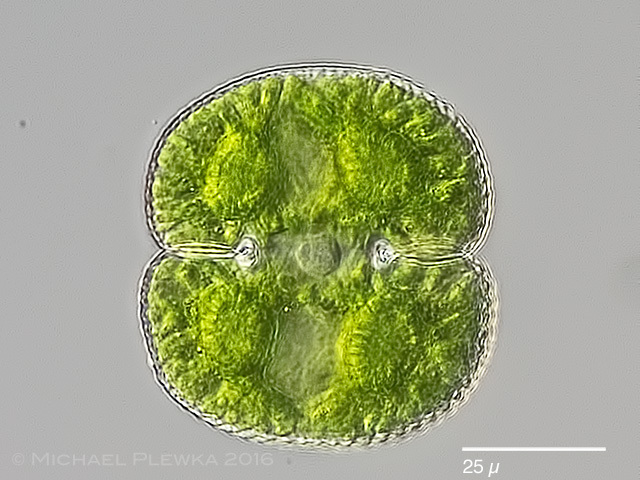 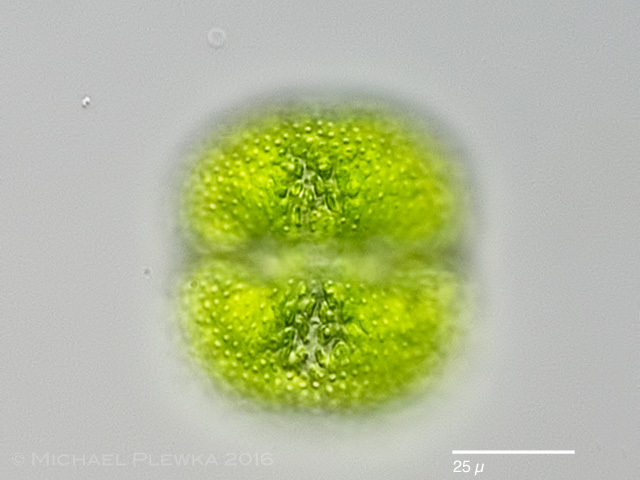 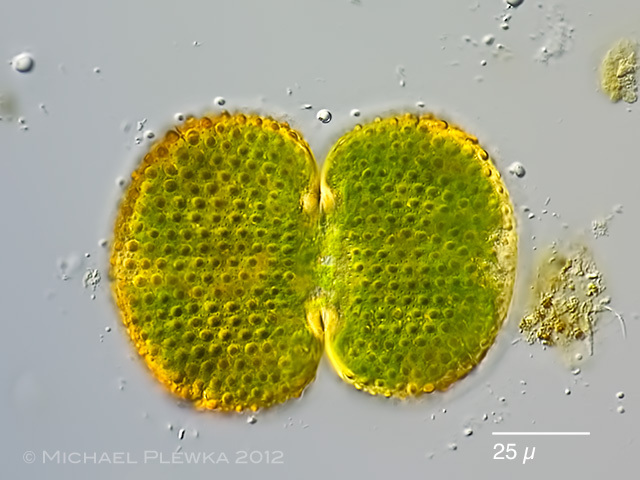 Cosmarium margaritatum rotundatum, another specimen from (2) focus plane on the cell surface. 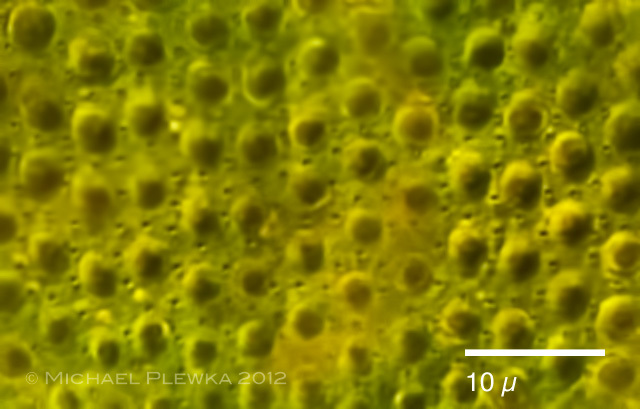 Cosmarium margaritatum rotundatum, crop of the above image showing the pores in the cell wall.